Takeaway: Shopping cart abandonment is the often neglected leaky pipe for ecommerce profits. The rate at which customers who have selected a product and then do not follow through on buying it is highest on mobile phone - 81% of mobile shopping carts are abandoned. We offer three keys to a great mobile phone shopping experience to help you recover these potential sales. Despite enticing product offerings, ecommerce retailers are getting cart-blocked at checkout. What gives? In 2014, online marketers lost $4 trillion in sales due to merchandise that was abandoned in online shopping carts. “Ecommerce retailers are coming up short with regard to the checkout process. Lengthy or complicated checkout forms, such as entering shipping addresses or payment information, account for approximately 39 percent of U.S. cart abandonments,” according to Business Insider. The brands and retailers that can tackle this issue stand to make huge gains. In addition to an overall shopping cart abandonment rate of nearly 69%, there is a correlation between the size of a shopper’s device and the “abandonment rate.” Sixty-one percent of shoppers abandon their carts when shopping from a desktop. But that number goes up to 71% for tablet users and a whopping 81% on mobile devices. This means four of five mobile shoppers give up at some point during the checkout process. The smaller the screen, the more important it is to offer your customers content and forms that speak to their immediate and expected needs. Mobile phones is an even more critical channel for you to get customers attention. ComScore recently released numbers saying that mobile commerce has grew 59% year over year in 2016. 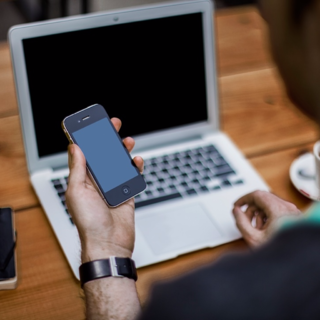 What are the key elements of a killer mobile phone product content experience? For many retailers the solution involves reevaluating each step of the checkout process and making perhaps dozens of small changes to accelerate the buying process. We recommend you think about these three key elements when planning a mobile shopping cart experience. From browsing to buy, the more streamlined process you can provide, the better the likelihood you have of closing the sale. Research has found that shoppers respond better to short or pre-filled forms. Brands that perform poorly often consider the site’s own business benefits vs. their customer’s shopping experience. Walk-through the experience of a customer and look to eliminate anything that slows them down. With a smaller screen, comes limited real estate. Avoid the urge to clutter your screen with brand elements that don’t support the overall goal of closing the sale. Ensure that copy and field size is conducive to easy readability. Clear, simple design can help shoppers focus. 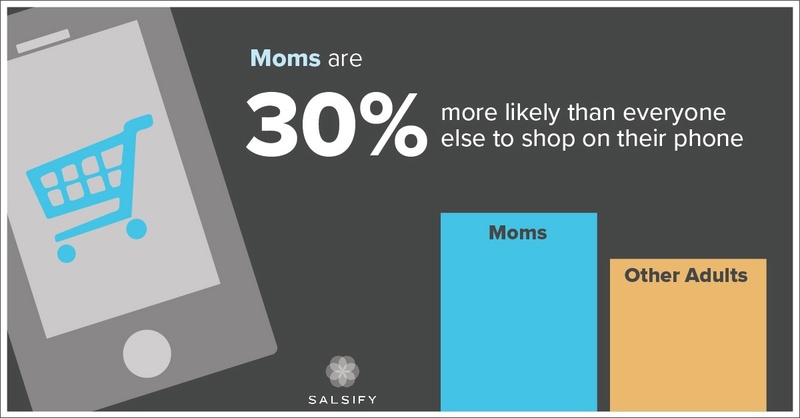 Consider our finding: Moms are 30% more likely than everyone else to shop on their phone. These women are busy and have limited time to browse or navigate inelegant mobile sites. Many shoppers use their mobile devices to identify the products they want, assess quality, compare features and price. Currently there is still a gap in shopper experience when it comes to collecting this data. According to Cracking the Consumer Code, customers’ biggest pet peeves with mobile shopping is this lack of information at the beginning of their shopping experience. Customers cite reasons not to shop such as “When the mobile site isn’t as detailed as the full site” or “When there is not enough information on the product.” Ensure that all the product content is as clear as possible, that includes marketing copy, product images and benefit feature bullets. Brands and retailers must focus their efforts on creating a superior shopping experience across all devices, but clearly mobile matters a lot. Shoppers are likely to discontinue buying from a brand in store after a poor online experience. However, if you provide that superior content, and a competitive price, you have the opportunity to both close the sale and also build long-term consumer loyalty.